The second Dodgers 2016 Topps Now Baseball card, available exclusively online, has just been revealed, and considering the day its subject should be of no surprise. 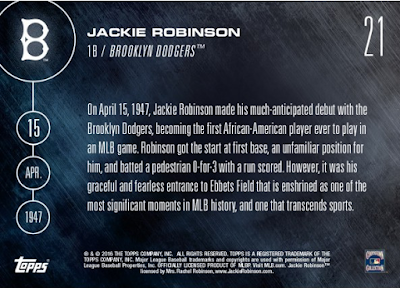 Card #21 will feature Jackie Robinson. Go here to order. Sales will only last for 24 hours, so if its something you'd like to add to your collection then you need to get going. 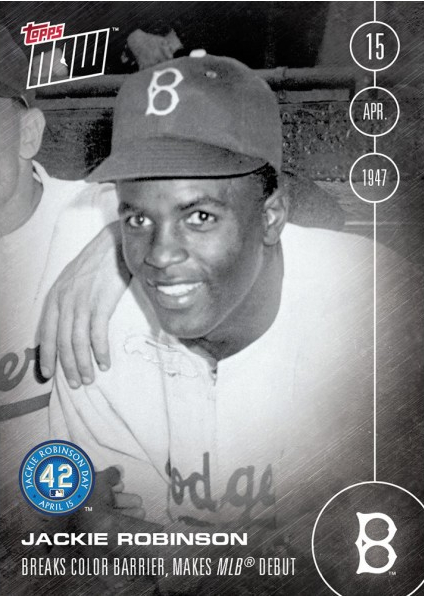 UPDATE: Print run sold was 759 copies.